Book your adventure at: rainforestadventure.com/st-maarten/package-2-flying-dutchman/. 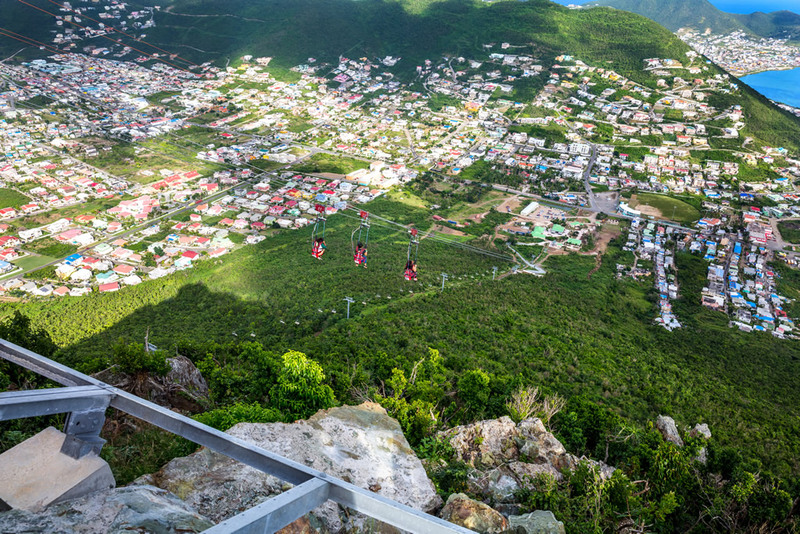 Philipsburg, Sint Maarten – The Rockland Estate eco-park is located on the historic Emilio Wilson Estate, just a short ride from Port Sint Maarten and major hotels. 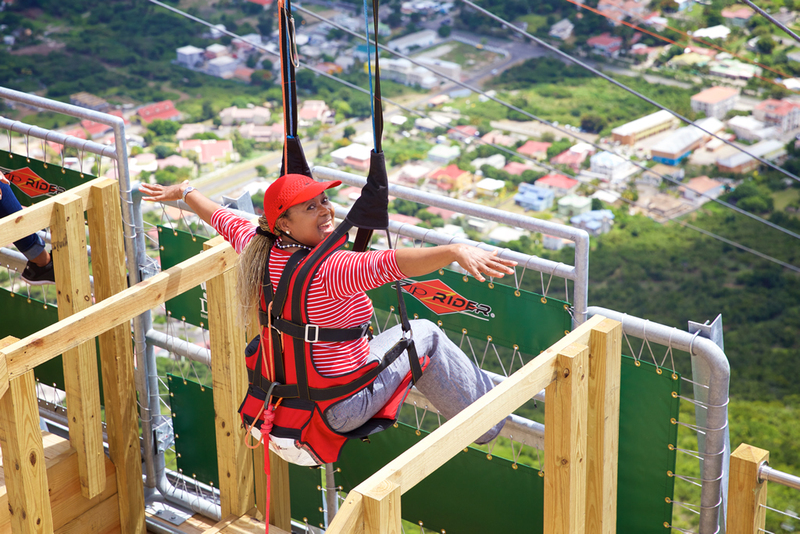 This new attraction operated by Rainforest Adventures delivers a dynamic and unforgettable experience featuring the historic Emilio Wilson Museum, breathtaking 360-degree views from Sint Maarten’s highest mountain and four rides including the world’s steepest zip line, the “Flying Dutchman”. 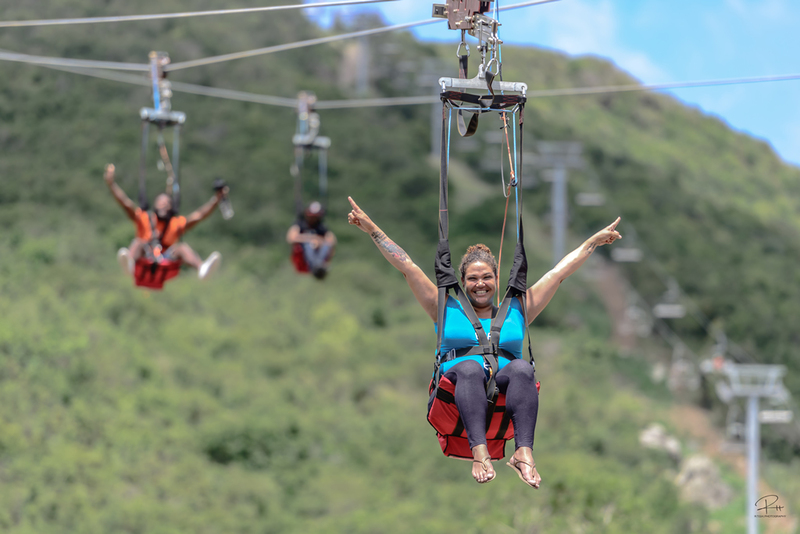 As an adventure-seeker you will simply love this new thrill ride that takes you on the Soualiga Sky Explorer with the landscape unfolding below to the top of St. Maarten’s highest mountains. 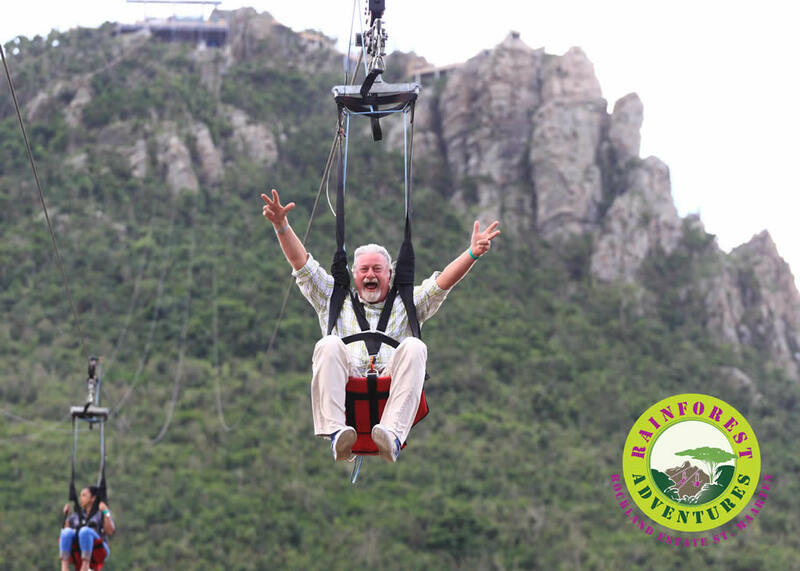 Then you will fly back down on the world’s steepest zip line! 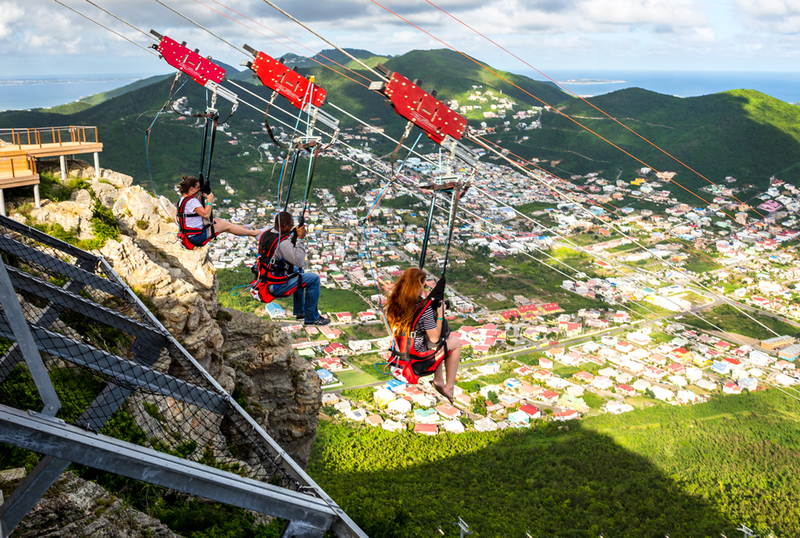 Embark the Soualiga Sky Explorer for the approximately 25-minute chair lift ride to the Crow’s Nest atop Sentry Hill, St. Maarten’s highest elevation at 1,125 feet. 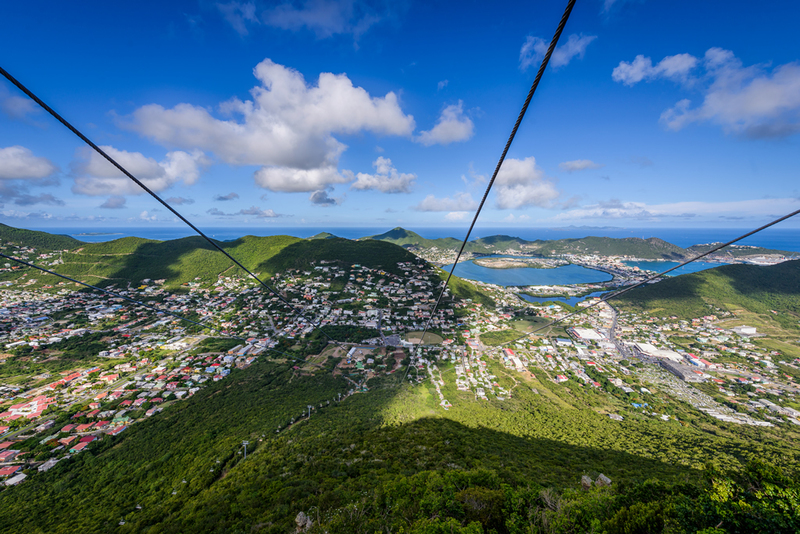 A series of platforms encircle the mountaintop, showcasing 360-degree views of the whole island including vistas of neighboring islands Saba, St. Eustatius and St. Barts and Anguilla. 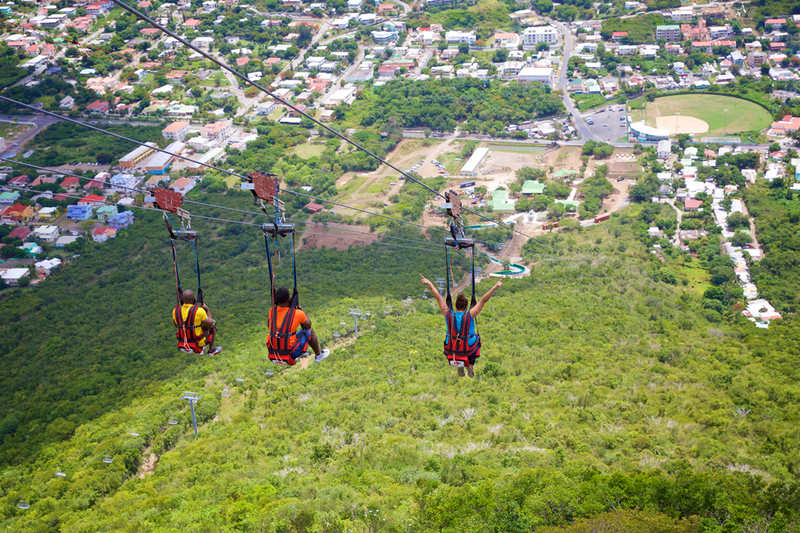 A brief orientation will prepare you to fly down the mountain on the world’s steepest zip line, The Flying Dutchman. 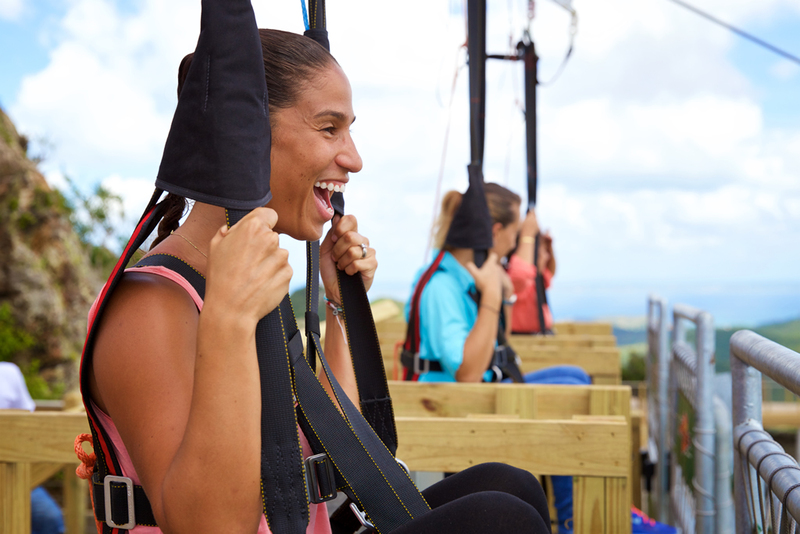 This ride offers the experience of a lifetime. 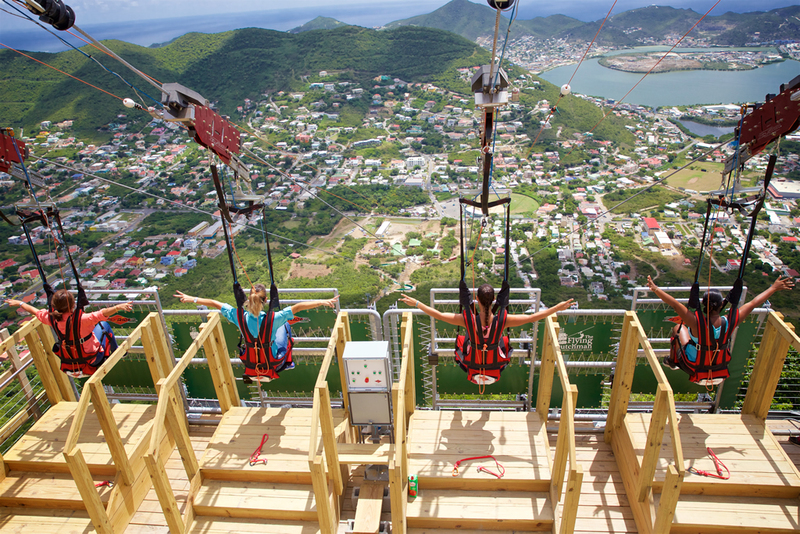 History : Rockland Estate Eco Park, Sint Maarten’s newest attraction, was scheduled to open September 10th, 2017. Hurricane Irma hit Sint Maarten as a Catagory 5 hurricane on Sept 6th, and completely devastated the island. 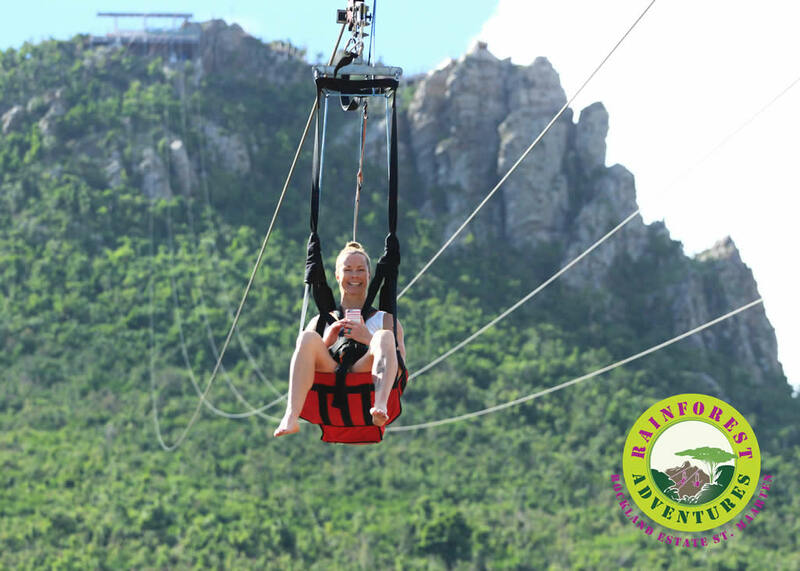 With exceptional hard work and planning, the Rainforest Adventure team prepared their eco-park attractions, including the ZipRider, for the incoming hurricane. For the most part, the eco-park suffered minor damages compared to the rest of the island. 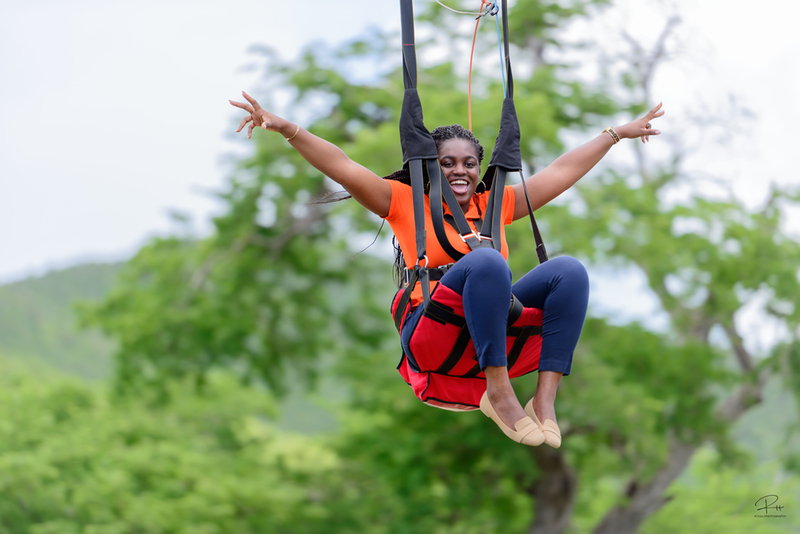 After re-building, the Rockland Estate eco-park, and the Flying Dutchman ZipRider, opened to the public on November 24th, 2017, an amazing feat and comeback. We are so proud of the Rainforest Adventure team!